Dan has over 15 years of applied sport science and coaching experience across a number of different sports. In that time he spent 8 years working in the Coaching Education and Development department at British Cycling, and set up Mountain Goat Coaching in 2014. Dan has coached and trained cyclists from novice to National and International Podium level and everyone in between. Dan has over 15 years of applied sport science and coaching experience across a number of different sports. In that time he spent 8 years working in the Coaching Education and Development department at British Cycling, and set up Mountain Goat Coaching in 2014. 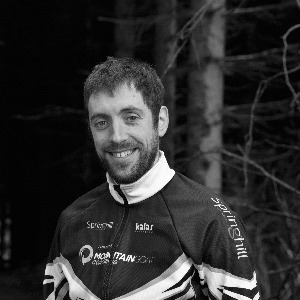 Dan has coached and trained cyclists from novice to National and International Podium level and everyone in between. He has worked with athletes in Road Cycling, Track Cycling, XC Mountain Bike, Downhill Mountain Bike, Gravity Enduro, Cyclo-Cross, Athletics, Swimming and Modern Pentathlon. Success. Coach Dan Small has been notified of your message.